One boy and ten girls! Wouldn't trade it for the world! My Lego set proposal is based on one of today's most popular cartoons from Nickelodeon, "The Loud House" created by Chris Savino. 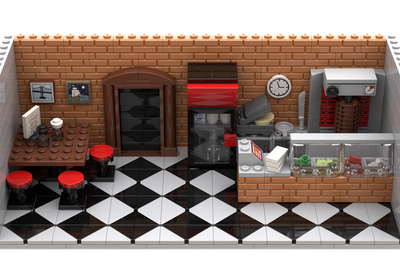 I always love complete playsets with lots of features and authentic detail, so I looked to sets like The Simpsons House and Modular Buildings for inspiration. 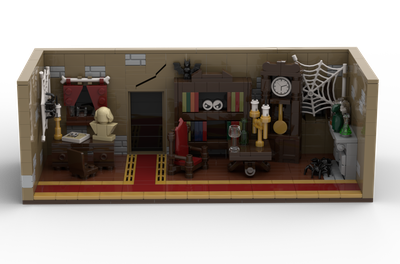 With a theatrical movie coming out next year, I felt this is the perfect opportunity to create a set like this. Packed with about 2,500 pieces and tons of references from the show, it's the ultimate playset to re-enact the mis-adventures of Lincoln Loud and his ten crazy sisters. The house is fully enclosed with a path to the porch, with an opening front and back door, windows, chimney, and a roof covered in lost toys. There's a hinge on the back, with removable floors and roof to reveal 3 stories of fun. When you enter, you can find the living room with a couch and fireplace, the "Grown-Up Table" and "Kid's Table" from the episode A Tale of Two Tables, a full kitchen with oven and fridge, and fold-down stairs. When you go up, the magic begins with the iconic long hallway to access all the sister's rooms. It includes five bedrooms with all 9 beds and a crib with little details, including an incubator for Lana's pet frog Hops, Leni's sewing table, Luan's performing stage, and Lisa's desk for science experiments. Finally, on the top floor, you can find the shared 1-person bathroom, Lincoln's closet, and the attic. 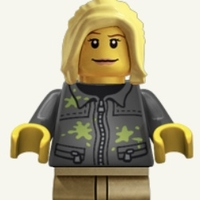 It includes 12 minifigures of the Loud family: Lori, Leni, Luna, Luan, Lynn, Lincoln, Lucy, Lana, Lola, Lisa & Lily Loud--plus Lincoln's best friend Clyde McBride. To top it off, it wouldn't be complete without their dreaded car Vanzilla which (with some fighting) just barely squeezes in all of them! As a bonus, I added the "Sick Bike" from the episode Hand-Me-Downer. 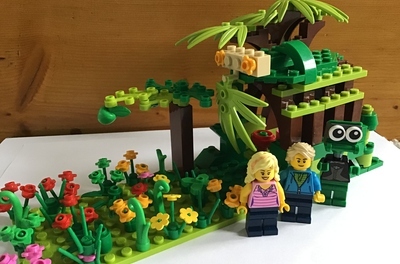 I feel this would be an excellent set not only for dedicated fans of the show, but also to kids who love dollhouses, city-builders, families, and older builders looking for a challenge. Thank you for your support! The only way for this to hit 10K is to support and share with friends!